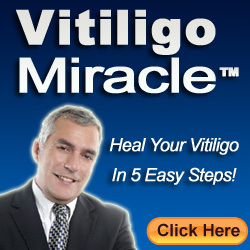 Vitiligo is a common skin disorder that is seen in most people all over the world. About 2% of the world’s population is affected by this disorder that is caused by lack of melanin pigmentation. Such a common defect is treated by many methods but still many professionals conclude that there is no perfect cure for vitiligo. This video shows an alternative method instead of treatment. Treating vitiligo is not possible the best way is to hide the symptoms of it. Here a vitiligo sufferer shows how she hides her white discoloured patches with camouflage. The make-up materials are specially prepared for this purpose and they can even be applied closer to eyes.